When creating a new SKU, you should keep in mind the requirements for each channel, your ability to identify SKUs, and the ease of exporting/importing data. Some people prefer that all SKUs start with the brand or vendor they're attributed with. Some people have a number of product groups that vary by color and like to keep the color somewhere in the SKU value. Please keep in mind that SKUs are immutable in Zentail. Once a SKU value is saved in Zentail, it cannot be changed. Standardize your SKU values across integrations. This means, if your product is "medium123shirt" in one place, the same SKU should be named "medium123shirt" everywhere. Learn more about the importance of standardizing your SKUs here: Standardize your SKUs. 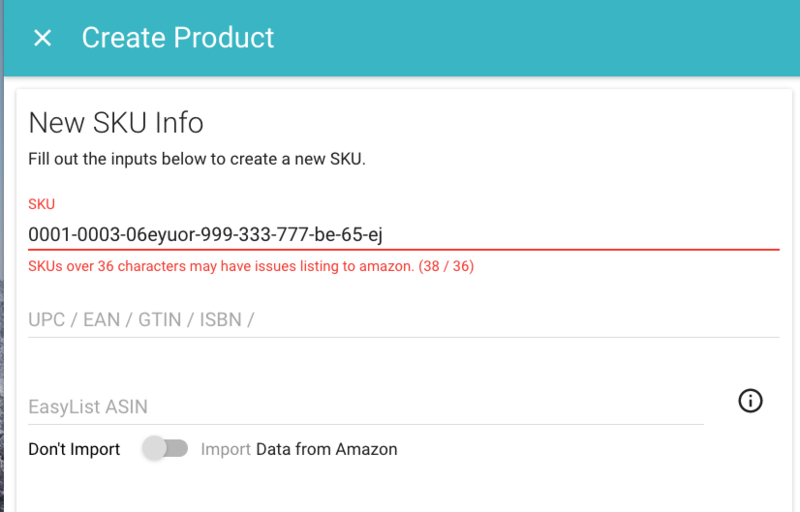 - The most significant constraint is Amazon- who has a 40 character limit on SKU length. In some cases, Zentail will add "+MF+" at the end of your SKU value to create a merchant fulfilled version within Amazon's Seller Central. Use numbers greater than 10,000 or include a letter in the SKU. Don't use smaller numbers as SKU values because they can be mistaken for a SKU ID on Magento. - i.e. University of Maryland gear all begin with "UMD_"
Some channels and spreadsheet softwares use autoformatting that can convert your SKUs to something other than intended. To avoid potential issues, avoid the following. Avoid unnecessary characters in SKU values such as apostrophes, quotes, double quotes or brackets. - Hyphens and underscores are fine, provided they occur in the middle of the SKU, as opposed to being the first or last character.